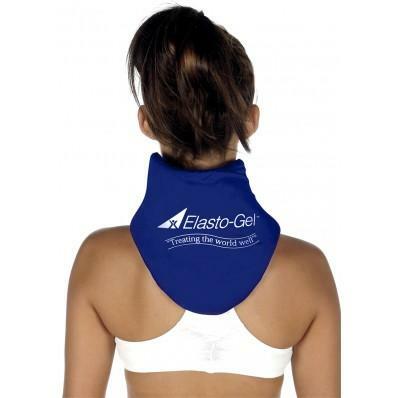 Whether using the Lycra or Polycotton cover, the Elasto-Gel Cervical Collar Wrap offers the same healing properties. The cervical collar provides relief for muscular and soft tissue neck injuries. The Lycra cover is endowed with 4-way stretch with a loop in the back, letting the Velcro stick anywhere on the collar creating a custom fit every time. While the cotton cover has a Velcro hook, which is the only place to position the Velcro strap to hold the collar in place. 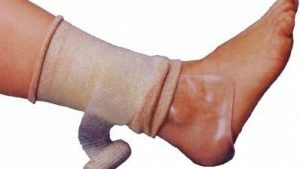 The wrap can be used for either hot or cold therapy. 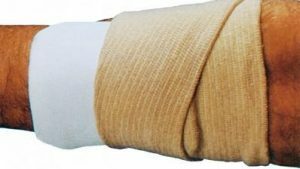 Using the wrap for cold therapy soothes acute/sharp pain such as whiplash and muscle strains. On the other hand, heat therapy eases reoccurring pain like old injuries. This cervical collar is very comfortable, and light enough that it doesn’t weigh my neck down or make it feel worse. I can walk around or do other things while the collar is on, since it has a velcroe closure. I keep it in the freezer, and pop it on when I get a headache in the base of my skull or a stiff neck. I suffer from chronic neck pain and pop this in the microwave frequently. After repeated use it has not leaked and still is comforting for my neck and in between my shoulderblades. Really works. Repieves neck pain. Stays cold. Great product. Good buy. Recommended to all with complaints of neck pain. Buy this. “I have used the Elasto-gel products since I first fell 16 years ago. They were first introduced to me during my first physical therapy appointment. I still have my original Cervical Collar from 16 years ago but ordered a second so I could use one on my neck and one on my back. They last forever and have covers available for order if you snag or damage your original outer cover. Has really helped me recovery! 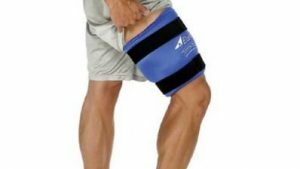 The product stays cool for over an hour and fits perfectly around my knee and shoulders, so its a great dual purpose. These are great…and you won’t find a better or less expensive item elsewhere! The product was delivered on time and as described. 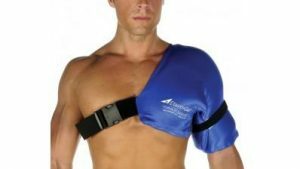 Cold therapy made convenient and easy… nice job on not just the neck… NO regrets ! Works great just wish stayed colder a little longer but it definitely is nice and can secure it as well! It fits. Most don’t. It keeps you cold for a very long time. So nice you can wash the cover that comes with it. It’s cold. But not that burning cold that you must use a towel to protect skin. You can put it on right out of the freezer. And best of all no leaks or drops of oozy blue gel coming out gooey all over you and your cloths, furniture ect. It’s the best ice PAC I’ve ever had. Doesn’t sit on my skin when wrapped around my neck, I have to push and hold it there (inconvenient). 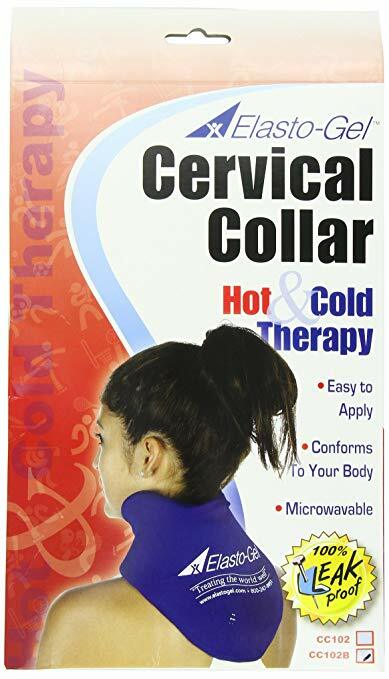 Also the cooling effect only lasts 10-15 minutes before you have to freeze for hours again..
Love these cervical collars. I buy new ones every couple of years & use them every day! Even travel w/them. IT stays in place!! Need I say more? You don’t have to lie face down with your head in a pillow – you can actually stay upright!! “I use ice packs a lot and was looking for something that could stay in place while I moved around. The Elasto-gel products are so great! 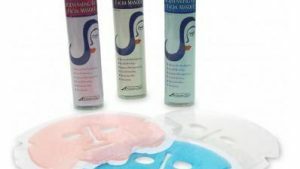 They are always comfortable on my skin, and keep the area nice and cold, but with no worry of being too cold to damage skin (really prefer the Elasto-gel over using ice for this very reason!). This time I am using the cervical collar after neck surgery – bought 3 so that I could rotate through them in the freezer, having one that is always cold. Working really well. Our family also has a couple of the large wraps for use on shoulders and knees. These products are really well made and last! They are a must for anyone having surgery! These collars are great!!! They provide the exact cold therapy needed. I would highly recommend there collars. The price is also great. well worth purchasing. This product was recommended by my sister. I purchase two units and I am surprised at how often they are both in use. Unsatisfactoy! They must have changed this product. 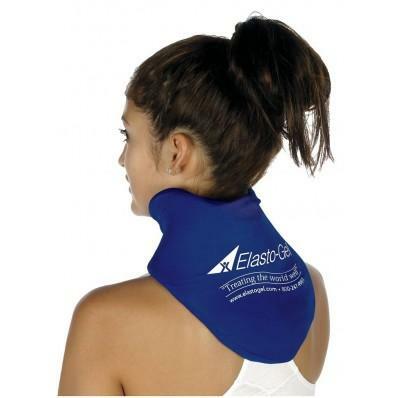 Looks similar to my old Elasto-gel Cervical Collar but this product hardly turns cold at all! I’m back to using my old one. PERFECT!!! I have neck problems AND I remain active.Awesome for people like me. Its stays on beautifully, cold but a “comfortable” cold and I can use it as i do other things around the house. No longer a slave to a pac and the couch for 15 minutes. Tend to use it more because of it’s ease. THANK YOU FOR A GREAT PRODUCT! Use it daily for neck and back – love it! These are amazing for cold therapy, I have not tried them for hot as yet. I use them in my massage office. this is a very well shaped gel collar for neck pain caused by over stretching or accidentally bumping the head/neck area for my granddaughter the gymnest. it was very helpful with her recent injury. This fits really well and really helped me through a spinal injury I had, but when frozen, it just never quite feels cold enough. Works great with heat. There is not enough gel in this for it to really work alone for icing. However, it makes a dandy, if expensive, holder for an additional gel ice pack, and does contribute some to the icing process. This isn’t the same weight of gel as in their other shapes. Much thinner, so it gives very little heat or cool time. 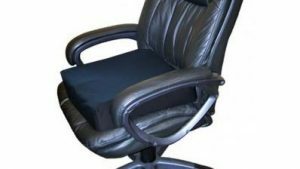 The neck roll is a better choice, as it holds temperature for much longer. feels wonderful on stiff/painful neck and shoulder muscles! I got these to wear at my desk because I get neck pain and inflammation from working at a desk long hours. I had hoped I could wear this while working. It’s not very good for that as I had hoped. You can strap it on but it feels like it’s choking you if you get it snug enough to get it close enough to your neck and upper back to do any good. It doesn’t stay cold very long at all. I bought 2 to alternate. I’ve just had to resort to using them while lying down on a pillow and leaving it flat. I have purchased this product before and decided to get another. I keep one in Florida and another at our home up north. It helps to bring relief to my cervical area. I have quite a few issues there and find that this is great ! The heat tends to loosen up the tense muscles. I purchased several of these for family members. Used it only as a heat pad so far. Very convenient. Just throw it into to the microwave for about 2 minutes for just the right amount of heat. Relieves my neck pain. I have not yet used it as a cold compress, but it should work well cold also. This is the best heat/cold therapy product we’ve tried — keeps heat a long time. Bought one several years ago and love it. Wanted a 2nd one for spouse to use. 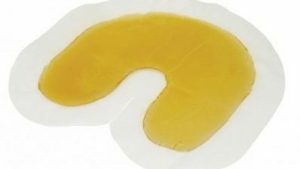 If using it for cold therapy, user MUST be careful NOT to get it wet or damp. Even condensation dampness can ruin the product because it absorbs moisture and gets hard. Keeping Elasto-gel product in supplied heavy-duty plastic bag when using for cold therapy helps prevent the moisture problem. I love this cervical collar! I have had neck issues off and on for 17 years and this is the best product. I love that it stays in place. That it isnt heavy to wear. That it is nice and cold. It’s my favorite! Ive recommended it to others and have even purchased it as a gift for others. It is well worth the price. Q Will this work for longer periods of time, such as sleeping? Does it keep your neck relatively immobile similar to a foam collar? A It only cools for 15~20 minutes. It does not immobilize your neck. Q I have been using this for a few weeks now and it does not get very cold and lasts for less than 10 minutes, is this common or maybe defective? Q What is the largest neck size this will fit? I'm a 19.5 neck shirt size. Is it too small? A It will fit you. The collar itself is 20 inches with an additional Velcro strap. Q I want use this product for hot therapy. After 25minutes of hot treatment, whether I need keep it in freezer or not? A If you are going to use this product for hot therapy only, then there is no need to keep it in the freezer. If you do want to use it for cold therapy also, my product is ready to use in an hour or so. Give or take a few minutes. Hope this helps you.